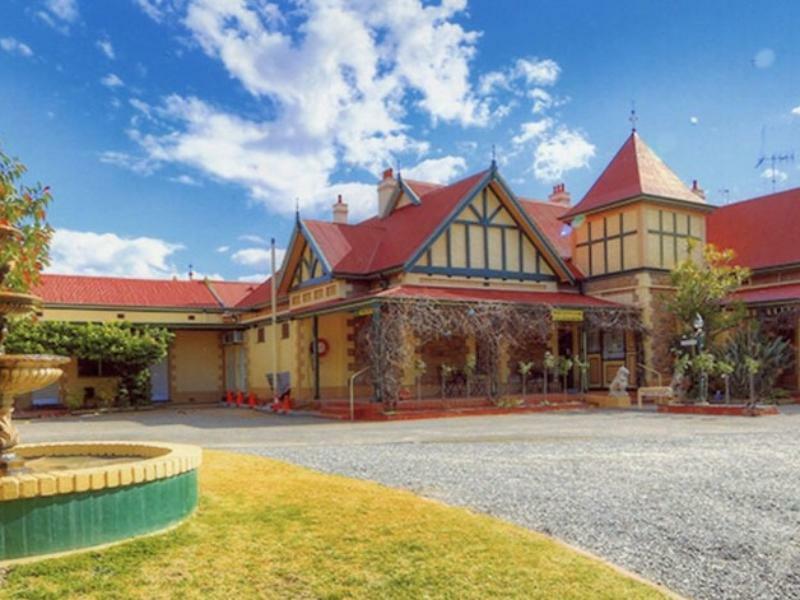 يضمن فندق The Lodge Outback Motel الذي رمم في 2012 لزائريه قضاء وقت ممتع في بروكين هيل، سواء جاؤوا في رحلة عمل أو سياحة. يجذب هذا الفندق ذو 3.5 نجوم، والذي يبعد 0.5 km فقط عن وسط المدينة و 10 km عن المطار، الكثير من الزوار سنوياً. سوف يعشق النزلاء موقع هذا الفندق، فهو قريب من أهم المعالم السياحية في المدينة كمثل كنيس فورمر, ‪Synagogue of the Outback‬, سيلفر سيتي منت . يعمل The Lodge Outback Motel على ضمان إقامة مريحة لضيوفه من خلال خدماته الممتازة وحسن ضيافته. يقدم الفندق واي فاي مجاني في جميع الغرف, تسجيل وصول/خروج سريع, تخزين الأمتعة, واي فاي في المناطق العامة, صف السيارات لضمان الراحة القصوى لضيوفه. تتضمن كل غرف النزلاء وسائل الراحة والتسلية المصممة خصيصاً لضمان الراحة القصوى للضيوف. كما أن مجموعة الخدمات الواسعة الموجودة في الفندق لضمان راحتك تترك لك الكثير من الخيارات لقضاء وقتك أثناء فترة إقامتك. يحظى فندق The Lodge Outback Motel بموقع ممتاز وخدمات يصعب منافستها. An old house once occupied by a famous scientist, lovingly restored and modernised. Unique rooms with all the facilities, including plunger coffee. I will return. A very nice place to stay wonderful location a short stroll to the main street will definitely stay here on next Trip. We didn't mind the old building but there was hair on the floor in the bathroom and in the shower and it seemed like the floor wasn't clean. We kept our shoes on the whole time. For one night stay it's probably ok but I wouldn't want to be there any longer. Simple, clean and quiet. Similar to the town. friendly staff, is the only one I am able to comment we were mosttly out of the hotel visiting places of interest. satisfied. only that the swimming pool was not so clean. I spent 3 nights in a king single room. Was perfect for my needs as I was a single traveller. Rooms had all the basics required after a day out exploring the Broken Hill Surrounds. I Recommend The Lodge Outback Motel to anyone who likes staying in Motels with all the comforts of Home. 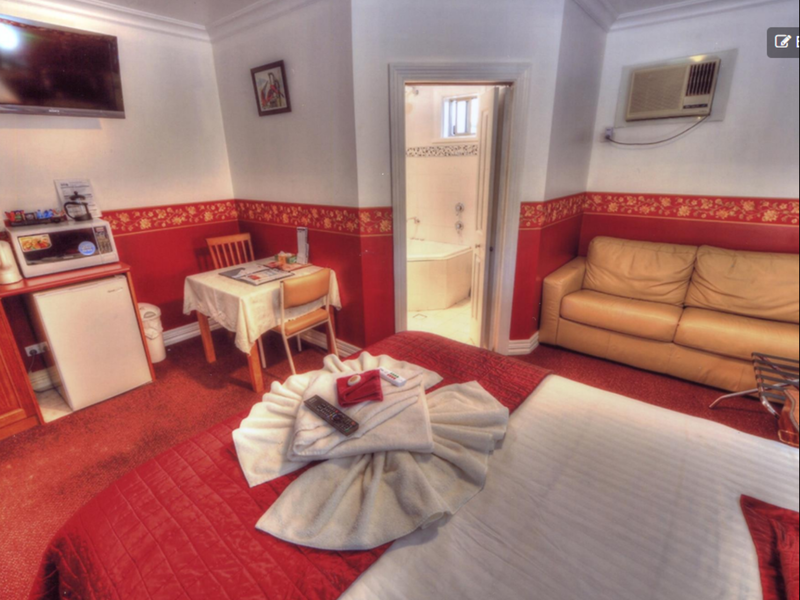 Some rooms are smaller than others but all are clean and are adequately equipped for the traveller. We did not eat in the dining room so cannot rate this. I liked the Lodge. The room was large and comfortable on the ground floor in the old house next to the entry. The reception was warm and genuine. Anything I asked for was no trouble. We walked to the main street each evening after a day of exploring Broken Hill, Silverton and Cockburn. Great city and a very comfortable motel. The bathroom was spacious. There was a microwave (not used), dining table but I loved the tea and coffee making facility. Many power points available for use. I do not know how it would be if there were several guests' suitcases needing a place but for just two of us it was great. Loved it. 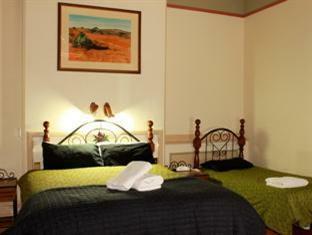 The motel is in a good location with only a 5 minute stroll to the main street of Broken Hill. The room was comfortable, clean and most importantly, affordable. Of the 2 nights that I stayed here, I found that the other guests were friendly to talk but also quiet (no loud music or laughter), which is a must for the weary traveller. The room that I stayed in, the Classic Outback Room, contained a fridge, microwave, kettle and coffee/tea making facilities. 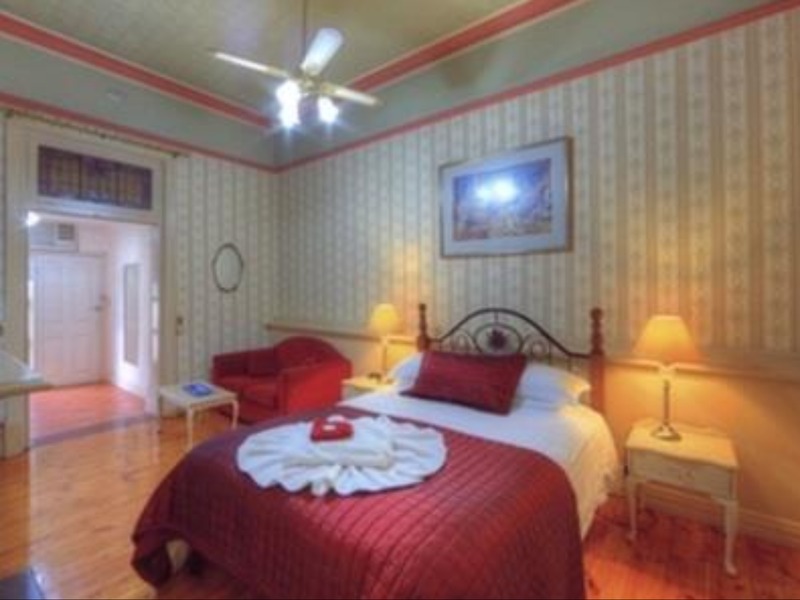 The room also came with Wi-Fi and Foxtel. I recommend this room to anyone who wants to stay within a budget whilst maintaining good quality accommodation. The Lodge Outback Motel was in a handy location with helpful staff, a comfortable room with microwave, toaster, fridge, kettle, tea and coffee etc and a nice place to stay during an outback visit. The only drawback was the location of the shower head. We are unable to rate the food/dining as we didn't eat there. Water bottle refills in the reception. 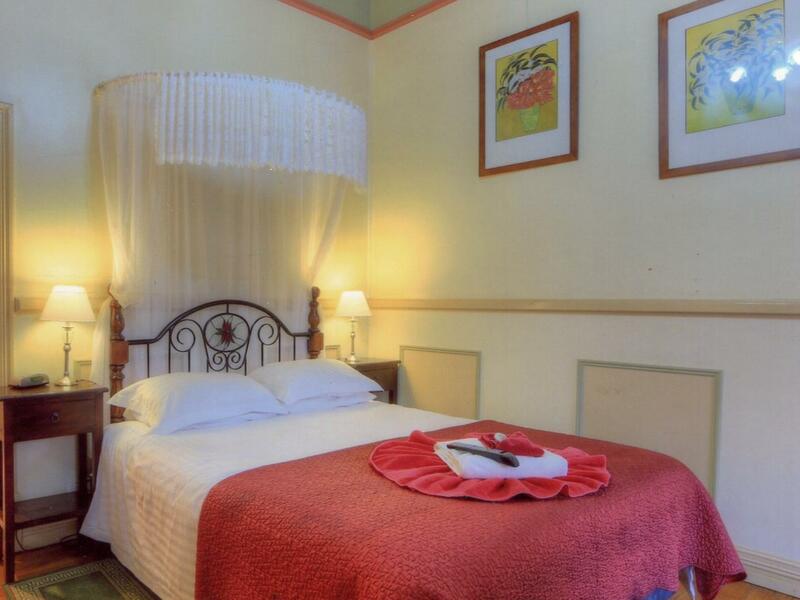 We loved our stay - the room was charming and comfortable - we had a veranda overlooking the garden - and a pool to cool off in.The manageress could not have been more helpful.